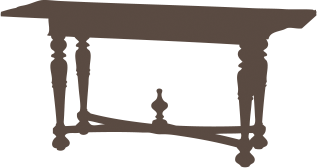 We offer you a complete range of services associated with buying and selling antiques, antique furniture. One example. You have found in our Antique store a desk with signs of wear and tear. We will lend it to you to find out if it harmonizes in your interior! Then we will ensure its restoration. And we will transport antique to the USA or Japan no problem - we do it on a daily basis and we know how to do it! WE WILL HELP YOU TO SELL YOUR ARTICLES FOR THE BEST PRICE POSSIBLE! Do you want to offer your antiques for sale? Send us by e-mail pictures and your desired price. We will then contact you to begin the process of selling your products. Also, we welcome you to visit our store or simply call us in order to find the optimal method for selling your antiques. WE TRANSPORT ANTIQUE PIECES THROUGHOUT THE CZECH REPUBLIC AND THE ENTIRE WORLD! Our company specializes in the export of antique pieces and art based on many years of experience providing service and documentation for the export of these goods. We transport antiques bought from us or elsewhere all over the Czech Republic and world. Export of antiques and art pieces are subject to strict Czech regulations. We will provide all the required documents for export. PROFESSIONAL PACKING We know that antiques require the utmost care in preparation for transportation. That is why we are offering professional packing of fragile and easily destroyed products by requested type of transport and destination. For extraordinary pieces we provide boxes specially designed for these goods. INSURANCE Based on your requests and chosen method of transport, we can provide transport insurance for your belongings. 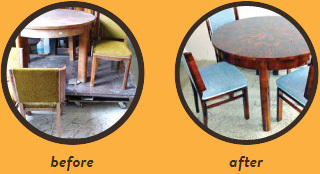 WE OFFER THE COMPLETE REPAIR OF ANTIQUE FURNITURE AND PRODUCTS. 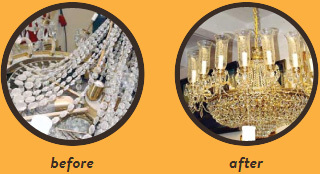 Our company has extensive experience restoring antiques. We use original technologies which extend the lifespan of the antique piece. these techniques are ecologically sound. We use all materials and spare parts so every detail of the antique is balanced and the touch of restoration is not visible. When it’s necessary, we employ an external specialist for metalwork, upholstery, etc. We base our restorations on the optimal value of repair. 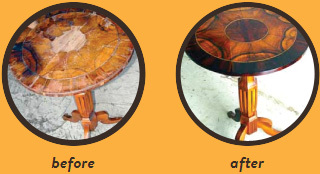 COMPLETE CARPENTRY REPAIR AND FINISHING Small repairs of veneers, inlays and inequalities of antic furniture’s will make excellent piece in your interior! Missing parts we are able to make from the same material, so you won´t recognize the difference and the whole piece will be compact. UPHOLSTERY OF SITTING FURNITURE Every repair begins by choosing the right style of fabric. We have for you a large selection of covering fabrics and leathers. Come choose from our samples! We will help you adorn your furniture with the optimal combination of design and historical value. LOCKS, KEYS AND IRONWORK REPAIR Details like ironwork and function of locks are included in our restoration work. We won´t let it go. We have prepared replacement locks, keys and some ironwork. We can make for you duplicates of keys, small repairs of ironworks or make a totally new part. LIGHTS REPAIR We can bring together the elegant design of the lights and lamps of our ancestors with modern technologies, so you can have an original light with safe electricity. We manufacture antique lights with new and safe electrical wiring. We can make new shades if they are missing or fix old ones. We can bring together the elegant design of the lights and lamps of our ancestors with modern technologies, so you can have an original light with safe electricity. We manufacture antique lights with new and safe electrical wiring. We can make new shades if they are missing or fix old ones. 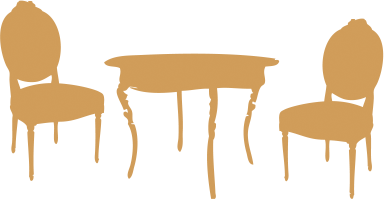 BORROW FROM US FURNITURE AND ANTIQUES FOR YOUR EVENT! Do you have a situation in your life where you need only the best furniture? 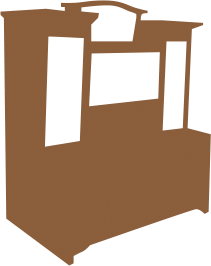 Do you need to borrow a desk, bookcase, armchair, sofa, or any other antique piece? Try our goods before buying them! For these reasons we have created our unique rental service. Our customers borrow our goods for home, office, theater, performance, films and advertisements. The price is based on individual negotiations. Short-term rental is typically 5% of the value of the item per day. Contact us in our shop or call us and we will offer you the optimal solution for your needs.